I'm Alison. I've been blogging for eight months. I review mainly YA with a few MG books and a weekly manga feature. GIVEAWAY - Ends Feb. 14!!! Win a fabulous Goddess Girls' swag pack! How Old Are YA Bloggers? Thanks to La Femme Readers!! -Loved How To Say Goodbye In Robot. Can't wait to read this one. -I actually picked this one because I love one of their songs ("Snowflake"). I hope the rest of the album is as good. Just finished Delirium under an hour ago! Enjoy! It's so incredible! I want to read Confessions Of The Sullivan Sisters too!! Great books this week! I also have The Lost Saint and haven't gotten around to reading it, but I plan on it soon. I really enjoyed Delirium. I hope you do as well! Delirium is an amazing book and I hope you like it! The Lost Saint is a good sequel, too, and has some great twists. Happy reading! I loved Delirium! Hope you enjoy! Delirium is great and Confessions is high on my wish list! You've got great books this week :). I need to start reading Bree Despain books and I really want to buy Confessions of the Sullivan sisters I've heard awesome things about it ! I'm so jealous you've received Delirium :p ! I didn't receive my copy yet :( hurry up Amazon :D!! I hope you'll like those books & Happy reading ! There is an international giveaway and a re-read challenge of The Mortal Instruments series for the release of the fourth book City of Fallen Angels if you want :). Thank you for the IMM welcome! I love your blog design, it's so cute! I just read Delirium. A great read! Ohh! I loved Delirium! It was really good! The manga looks interesting. 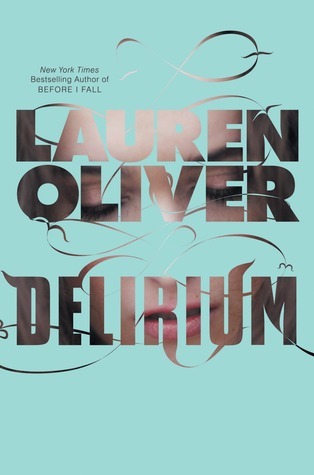 I cannot wait to read Delirium by Lauren Oliver. Before I Fall was great! Yay Delirium! Can't wait to see what you think, what a great one to win:) I'm really interested in the Dark Divine books as well, I've yet to read those but have them on my list. Enjoy Alison! I'm jealous of you...You have a copy of The Dark Saint and I don't. :) Happy reading! I still want to read Delirium so badly! I've also been wanting to read Confessions of the Sullivan Sisters, it looks good. New Follower! Loved Delirium! Can't wait for the next one! Confessions of the Sullivan Sisters looks really good. That one's definitely going on my to-read list! Great books! I enjoyed Delirium. I also have The Lost Saint sitting on my TBR stack. Happy reading! Congrats on Delirum, it's a great book. Confessions was a great book too, enjoy! Thanks for stopping by my blog! I went by the bookstore and finally saw the eal cover and freaked at the girl that fazed through in the letterings. I had no clue. Great choices; I picked up Confessions of the Sullivan Sisters last week, so excited to read it! It will be great to read your reviews. I'm a new follower. Have a great week! Congrats on winning Delirium... I can't wait to read it! You got some great books. I'll have to look into that band, but that cd cover is bit creepy though. It reminds me of the Chucky movies. LOL! Congrats on Delirium! I can't wait to read that one. :) Hope you enjoy all your books! What a great IMM! I have The Lost Saint and Delirium but haven't started them yet. Great books! Lovelovelove Delirum and I reeeally need to read Bree Despain's series soon! Nice on the library stash! And ultra nice on the Delirium win! Don't know if you've read it yet, but it's pretty wonderful. I hope you enjoy your awesome book loot this week. Thanks for stopping by the blog as well! Have a great week, be safe, and happy reading! Delirium is on my wishlist. I went to buy it, but every copy was scratched and I decided to wait. I'm one of those readers who want their books in pristine condition. Great books. Confessions of the Sullivan Sisters looks great as well. Congratulations on winning Delirium. I think it's the book of the month, everyone seems to have it on their list. Happy reading! YAY Delirium and The Lost Saint and Confessions of the Sullivan Sisters were all great. Happy Reading! Thanks for stopping by my blog! Great IMM this week, Delirium sounds so good! Yay for Delirium! I'll be getting it soon, and I can't wait to read it. Happy reading! Oooh Delirium!! That looks fantastic! I love Dengeki Daisy. Have you read any other ones by her? Have fun reading Delirium! That's a book that is getting a lot of hype in the blogosphere. I've seen some awesome library hauls this week. I'm so jealous. My library is somewhat small and doesn't have the biggest budget. Have fun reading this week! I have The Lost Saint on my Nook. It sounds great. Great IMM. Really need to read some Lauren Oliver and Bree Despain. Oooh I want to read Confessions...can't wait to see your review on it! ive been wanting to read confessions of the sullivan sisters, but i completely forgot about it! great blog, Now following! Congrats on winning Delirium! I've got that on my TBR pile and it looks awesome! Enjoy! You are so lucky to have won Delirium! I can't wait to stop reading it myself. Hope you enjoy ll your reads this week! Looks like you got some interesting books! Enjoy! Great books! Thanks for stopping by! Great books! Yay for winning Delirium!! Such a fantastic read. I want to read The Lost Saint soo bad! Delirium sounds good too. Hope you'll like them! Hi, I'm your newest follower. Thanks for stopping by. The Lost Saint and Confession of Sullivan Sisters sound like something I'd like. Happy reading. I am reading Delirium at the moment - its sooooo good! 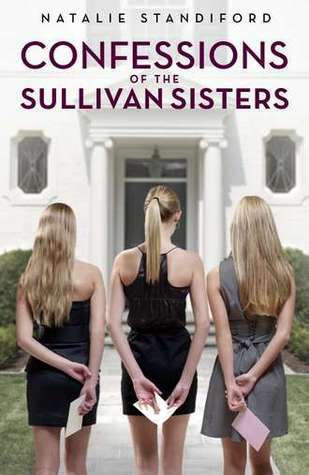 I'm loving the cover for Confessions of the Sullivan Sisters! It looks like a TV show! 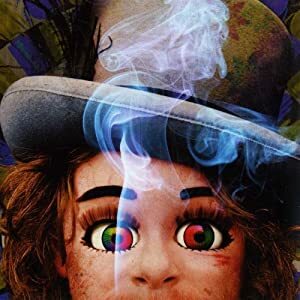 I really enjoyed Delirium and hope you do too. Poll: How Old Are YA Bloggers?